Smith Power Equipment’s stand at Decorex will be the ‘garden of the future’ concept, which is premised on its innovative range of battery-operated gardening equipment system set to revolutionise the industry. Smith Power Equipment will be exhibiting at Decorex SA, South Africa’s premier décor, design and lifestyle exhibition, which is set for 8-12 August at Gallagher Convention Centre. 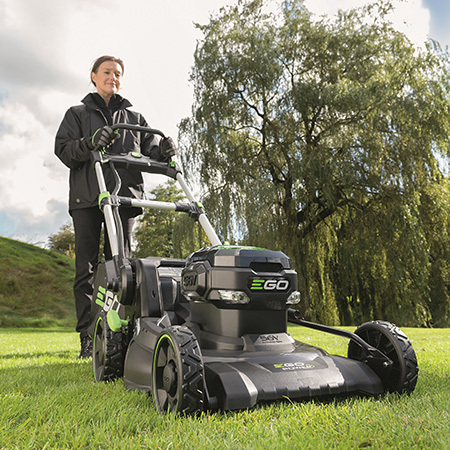 Smith Power will use the show to showcase its Ego Power+ range of cordless, battery-powered outdoor, lawn and garden tools in the local market. 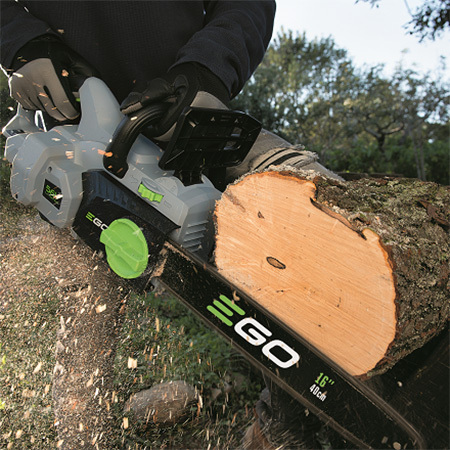 The range includes lawnmowers, string trimmers, brush cutters, as well as a multi tool system which provides a powerhead on which one can attach a host of attachments such as telescopic hedge trimmer and pole pruners, lawn edgers, brush cutters and string trimmers, all driven by a single power unit. 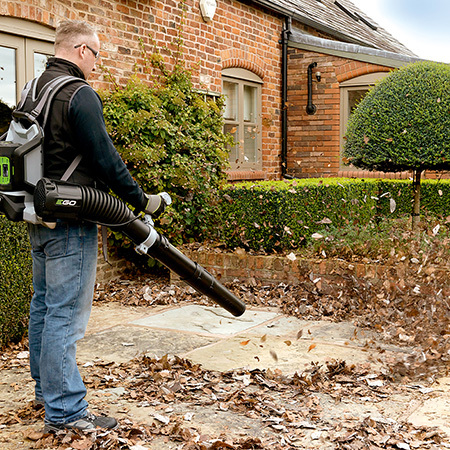 This is complemented by a range of chain saws and hedge trimmers, as well as a full line of blowers, including hand-held and back-pack type. Mark Chittenden, General Manager at Smith Power, says gardening equipment is not something you would normally see at Decorex, but as South Africans we have an outdoor culture similar to that we exhibit indoors. “We love our braais and being around the pool in Summer. Ego takes care of the outdoor lifestyle segment,” explains Chittenden. A major talking point for this range is the unique, patented 56V Arc Lithium battery designed to deliver petrol-matching performance. The Arc Lithium battery has an innovative design to maximise battery cooling. Unlike conventional brick-shaped batteries where the cells are packed together, overheat and shut down, the unique Arc design dissipates heat more effectively. Smith Power offers five battery choices at this stage, in the 2.0; 4.0; 5.0; 6.0; and 7.5 amp range. The battery design is unique in many ways. Firstly, it can be used in any of the EGO machines, so a single battery power all machine ranges. Secondly, apart from the innovative Arc design that helps prevent overheating, the battery has another clever way to keep cool; each and every cell is surrounded by EGO’s unique Keep Cool™ phase change material that absorbs heat energy and keeps individual cells at their optimum temperature for longer. Chittenden says the range offers the fastest charging times in the industry. “Charging times vary from 20 to 70 minutes, depending on the type of charger selected, either Standard or Rapid. The battery’s charging times are a major talking point, given that Lithium-ion batteries, on average, take about two hours or more to recharge,” he says, adding that the EGO Arc Lithium battery range is good for a 900 charge cycle. Locally that translates to a good 4-5 year lifespan. Commercially it will depend on the charge cycles. Another key benefit of the EGO range is the lower running costs. The cost of running an EGO Power+ product for a month is around the same as using a 2-stroke product for a day. “Another benefit is the easy set up and starting, with no filling up with fuel required, while the product range starts up with the push of a button, rather than the exhausting pull cords on the petrol-powered tools,” says Chittenden. 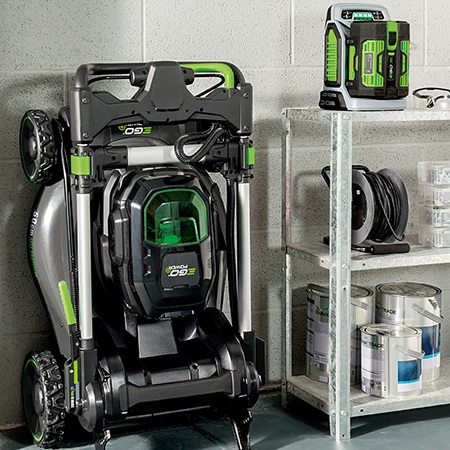 Unlike large, heavy petrol mowers, the EGO Power+ mower’s fold flat design makes storage and cleaning simple. The range is offered locally with a 2-year warranty on the battery, and a 3-year warranty on the machine itself. “With lower running and maintenance costs, switching to EGO Power+ will lead to long-term savings. Plus, with zero emissions during use, you can do your bit to reduce your impact on the environment too,” says Chittenden. McDonald says Decorex SA is an important platform where discussions around the ‘green’ revolution should gather pace. “Becoming environmentally-friendly is very important for Smith Power Equipment, and Ego Power+ is our way of trailblazing the green revolution. We will use Decorex to showcase the benefits of our products, both financially and environmentally,” concludes Chittenden.